The Trolley will be designed to carry and store circular assembly fixture discs. 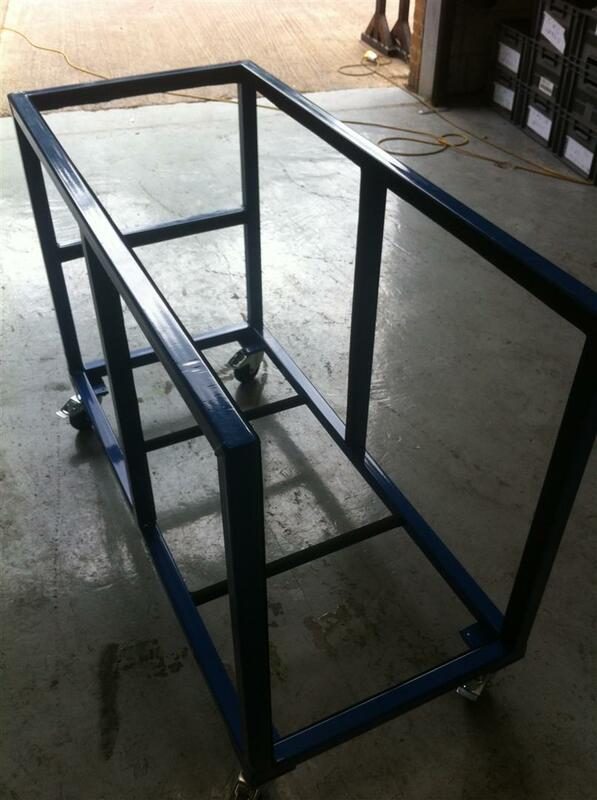 It will be manufactured from 40mm x 40mm box section and 26mm diameter tube.The main frame will feature a base section with two up stand side supports to locate the discs in-between, the discs will sit on two tubular rails to limit the contact area with the discs. It will be fitted with 4 off swivel and braked castors with 100mm diameter blue elastic tyred wheels with a black plastic centres.